This oddly titled piece was finished in roughly six hours and is something I am fairly pleased with the results. I've not yet written a story for it but I love the concept of how it turned out. 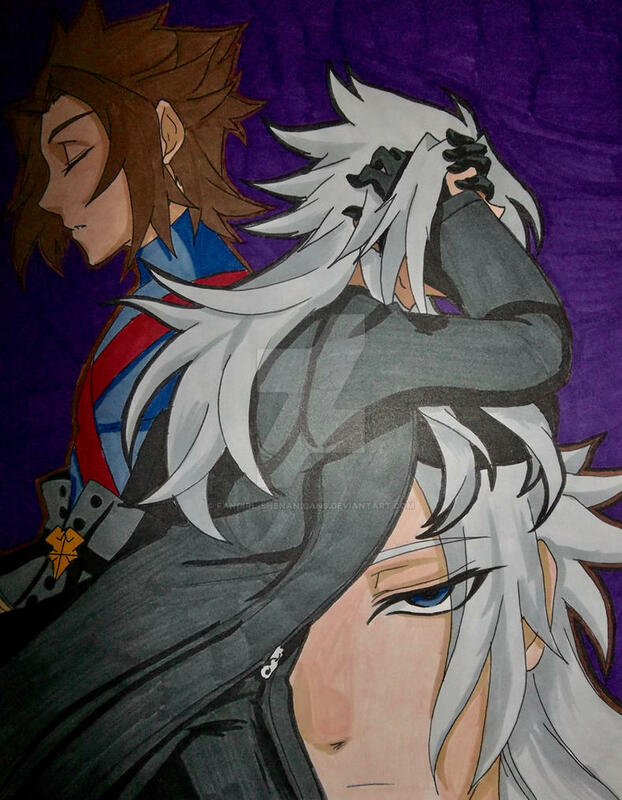 I am well aware that Terra!Xemnas looks very unamused/zombie-like, but to be fair he's just come back to full control of his body and stuff and it's meant to be a 'are you done' aimed as Master Xehanort.